This course is suitable for experienced operators who wish to train as a lift-truck instructor. At the end of the course the candidates will have acquired the necessary skills to undertake a practical and written examination and be competent to carry out training as an ITSSAR Registered Instructor or In-House Operator Trainer, depending on which Course is selected. 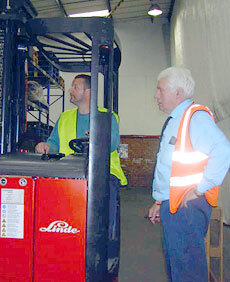 experience of full time fork truck operation and possess those qualities which are needed to be able to instruct. and provide written proof of experience from employee.